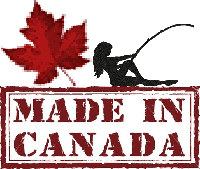 … Official flyguys.net Northern British Columbia, BC Interior, Kamloops Area Lakes & Rivers Ice Off 2016 Fishing Reports post! As before, please use the comments/reply section at the bottom of this post to share and discuss your 2016 fishing, ice off, and even (but hopefully not) winter kill reports. Where did you go (not mandatory)? What worked? What didn’t work? General or specific questions about a fly, a technique, or whatever … feel free to ask it here and we’ll try our best to get you an answer! Oh, and a picture is worth a thousand words so please feel free to include one if you can! For those that would like to share a little more than just a fishing report we encourage you to submit your story (along with images/video links/etc) & we’ll write it up in a stand alone post for ya! 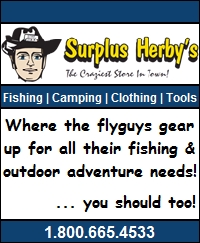 And last, but definitely not least, a BIG thank you to Surplus Herby’s for stepping up yet again to sponsor our yearly fishing reports post! Be sure to stop in for all your fishing & outdoor gear needs before hitting the water this year! 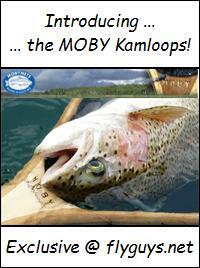 This entry was posted in Fishing Reports and tagged 2015, bc, Fishing Reports, flyguys, flyguys.net, ice off, Ice Off Reports, Kamloops, Winter Kill, Winter Kill Reports. Bookmark the permalink. Stump lake 4 inches ice came home with 10 Kokanee from 1 to 3 pounds between two of us. Main lake only has 2 inches not enough to wander around. Well, you did better than we did! 3 of us, 4 hrs, not even a hit. Tried north of the south launch in about 30ft, and then drove to the middle launch and got out over about 50ft water. Nada! That is my 3rd time trying for Stump kokanee through the ice in the last few years and I have yet to get a nibble! I seem to have no problem catching them at Monte and other lakes I’ve fished over the years. I tried various depths from 5 to 15′ deep, which seems to have worked elsewhere for me, but no dice. Thanks for the Stump report Paul! I’m hoping a buddy of mine driving by Monte will send me a report ASAP. Has anyone gotten back to you about Monte? We came down to Vernon on the 26th to visit my in-laws, but unfortunately it was dark by the time I came down, so I couldn’t see anything. Pretty good bite at Leighton from 2:30pm onwards. We were fishing in 5-8′ of water using silver spoons 24″ above a pink jig head tipped with cooked shrimp. Nice 2.5-3 pound rainbows with lots of fight.